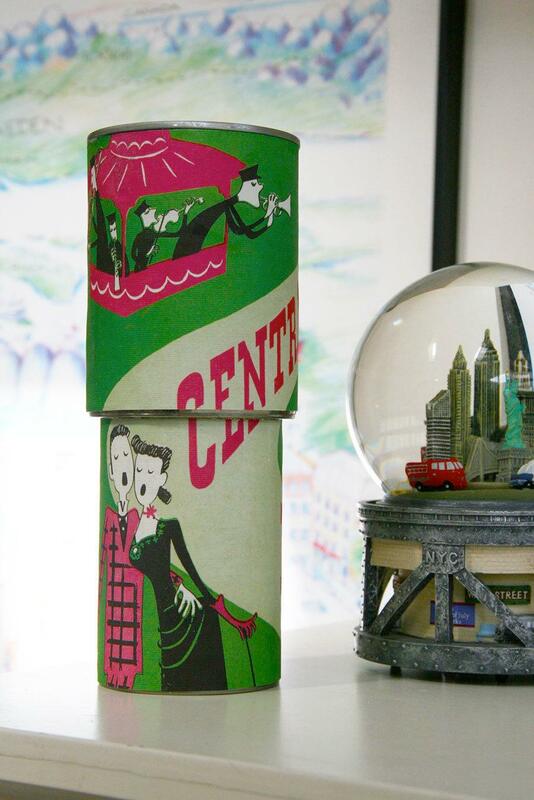 I love recycling and using common items in decorating. 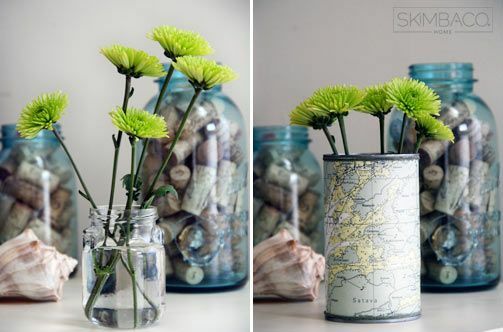 Like Ball canning jars, or heck, even just regular jelly jars make great flower vases. 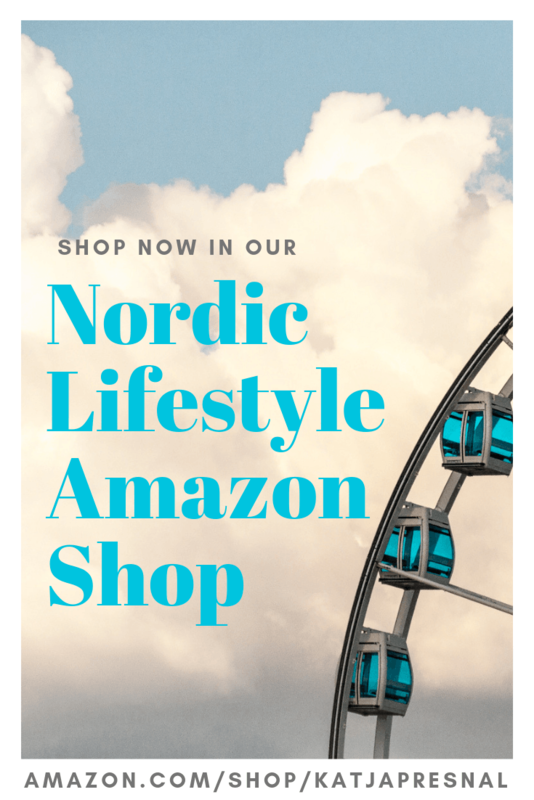 Lately we have been eating more canned foods than usually (did you know many of them are good for you? ), especially tomatoes, beans and soups too, and we’ve had several empty cans in the recycling box, and I decided to make some crafts with them. This is super simple! 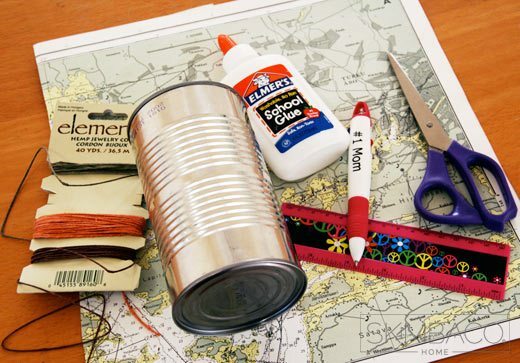 You will need: an empty washed soup can and paper. Here I have a page from an old wall calender. 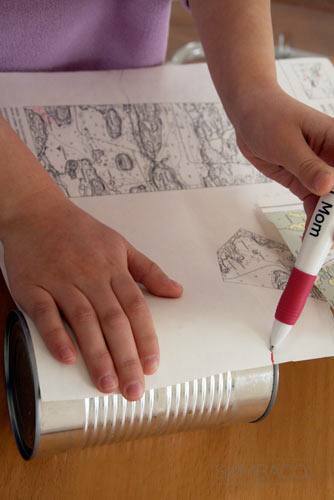 It really is as simple as cutting a paper in the right size and glueing it in. We measured the can first and then drew a line to the back side of the paper. You know how soup cans have glue dots only in a few spots to hold the etiquette? You will need more glue for these to look good, unless you are using a glue gun and stronger glue. 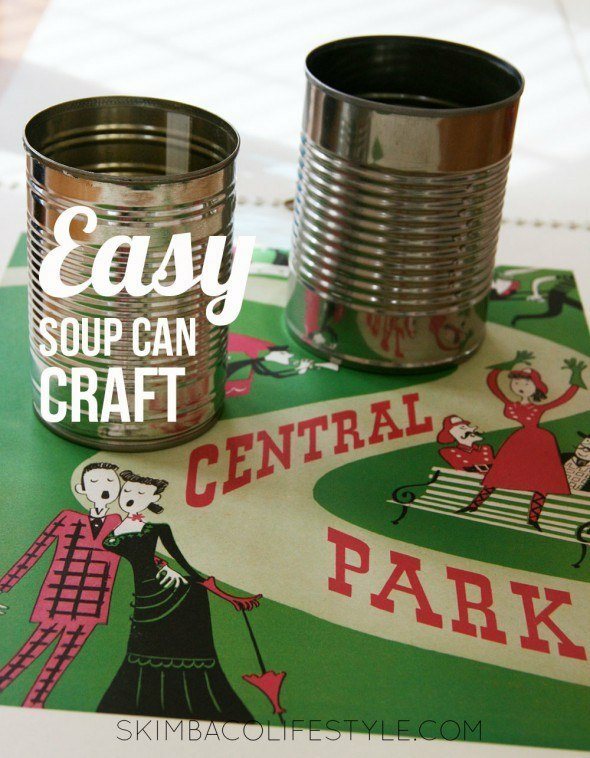 I made this with kids so we used normal Elmer’s glue, and added it to all cracks of the soup can, in addition to all sides of the paper. 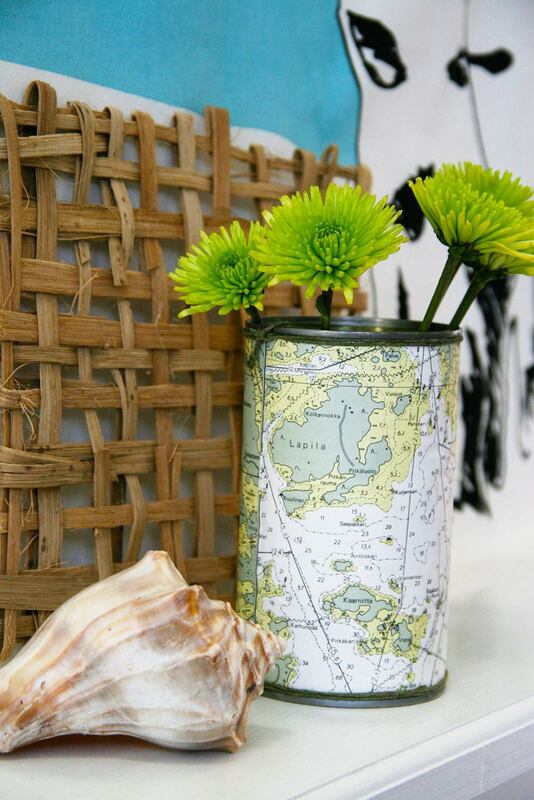 I used an old nautical map of one of my favorite places in Turku, Finland to make my vase, but you can use sturdy wrapping paper, scrap booking paper, anything really. I also added some yarn to the vase to give it an extra nautical look. 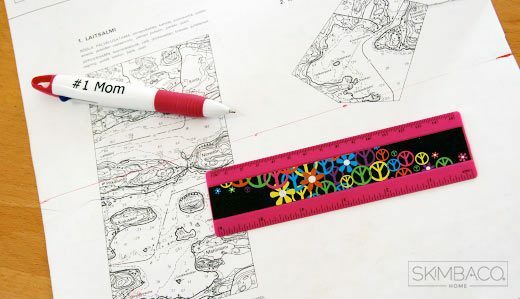 Note my ruler and pen – I was doing this craft with my daughter and she chose the supplies. Have fun crafting this super simple soup can vase! I love these, just washed out 3 cans and I am doing this for each one of my boys desks.